Make sure you choose a great baker that will use the freshest and finest ingredients. Lots of bakeries use shortening instead of real butter, low quality cocoa, and imitation extracts to cut their costs. It's okay to ask your vendor these questions and it's always better to pay a little more for a baker that will use quality ingredients. The final product can only be as good as the ingredients that go into it. When choosing a design for your cake, be creative and don't feel confined by trends or tradition. 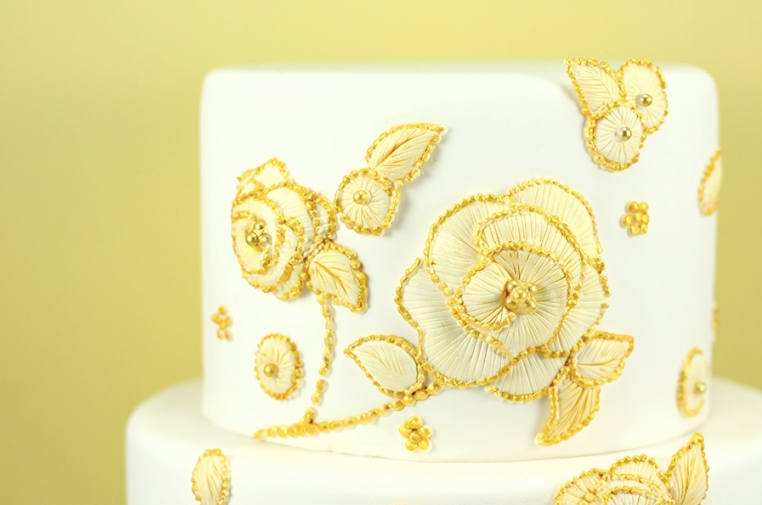 Cakes have greatly evolved from plain tiers with flowers to sculptures and works of art. 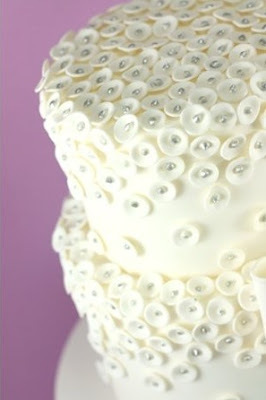 Custom cakes are designed to reflect the bride and groom’s personality and uniqueness. So feel free to express yourself through the colors, patterns, tier shapes, and toppers. 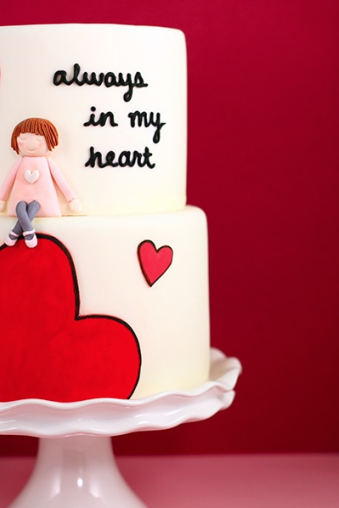 Another popular idea is to design the cake so it is consistent with the graphics and colors of your invitations. 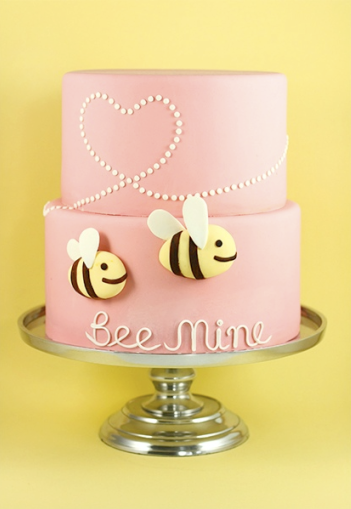 Therefore, when going in to meet your baker bring invitation samples, color palettes, themes, or photos that will help you create a perfect cake for your special day. When building the flavor profile for your wedding cake remember that simplicity is key and choose flavors that complement each other. At a tasting, you may be overwhelmed with so many delicious flavors that it's hard to choose what you want. Some brides ask for 5-6 different cake, filling, and frosting combinations! Although it may be difficult to limit yourself if everything you sample is delicious, too many competing flavors in one bite can end up disastrous. Try to keep it simple so you can really taste the distinct ingredients in the layers and if you are not sure what pairs well, ask your baker for recommendations. So ladies - eat cake, be merry, and be married. Thank you so much Liz! 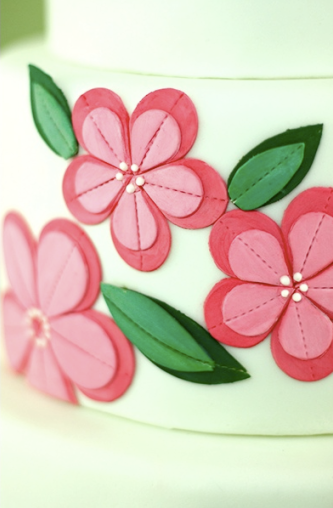 And don't forget to check out Liz's blog on all the happenings at EatCakeBeMerry.